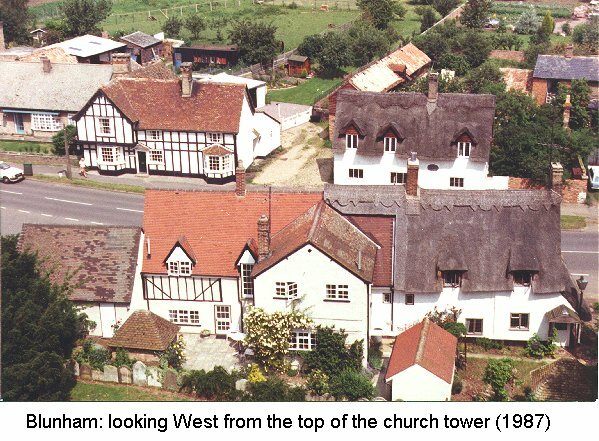 (sometimes with the modern views). 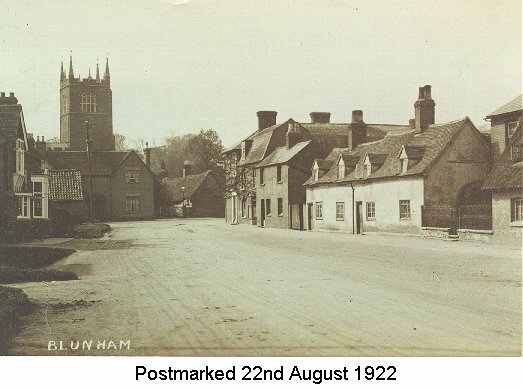 These old photographs and postcards were kindly loaned by various people, including Ionie Brennan (Australia), Charlie Harding, Joan Skelton and Frank Reed, Carol Harding (all of Blunham). 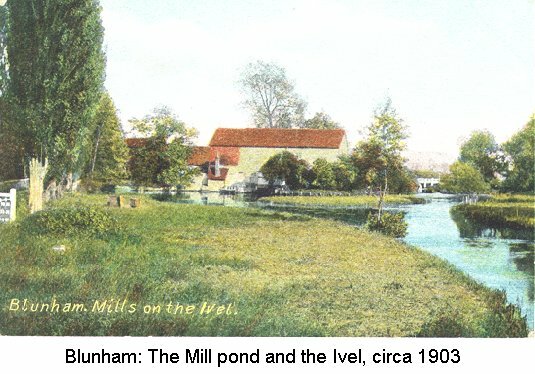 Blunham Mill: a view of the mill pond and a punt (1905), and a different view showing the River Ivel, the Mill Pond and the Mill (1903). 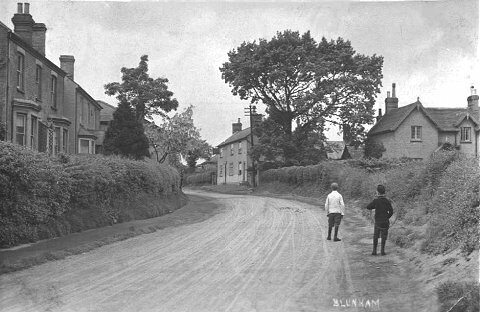 Looking north up the High Street in 1914 with the Oak pub on the left, and an enlargement of this showing "The Oak" sign. 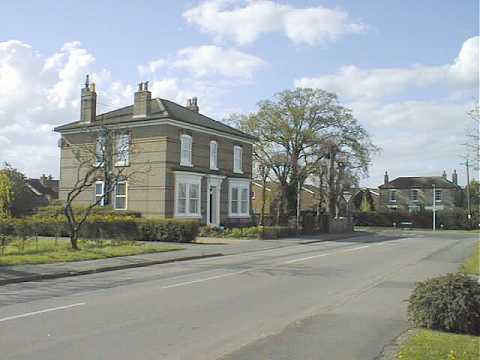 (This is now a private house). 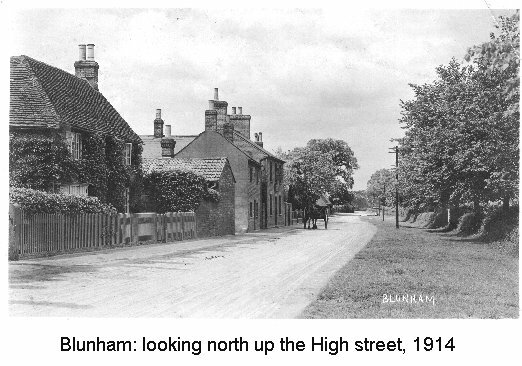 Please see also Bill Exley's article on past and present Blunham Pubs. 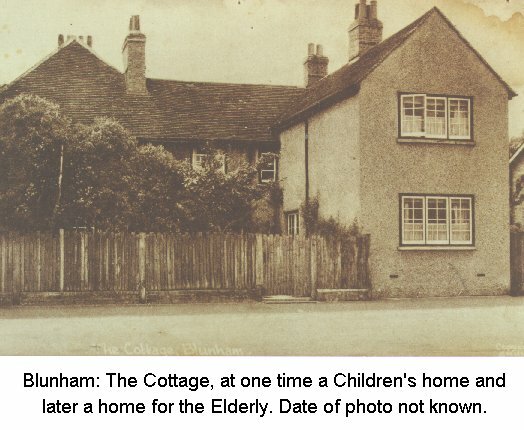 The Cottage (High Street) old photo of unknown date. 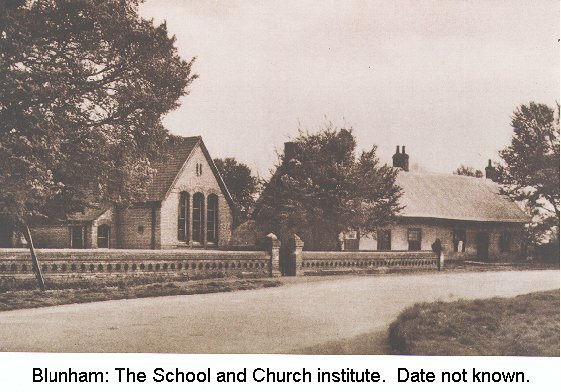 The School and Church Institute (pre 1920? 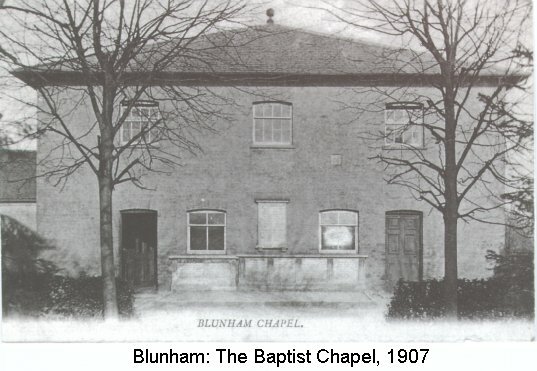 ), both buildings form the school today. 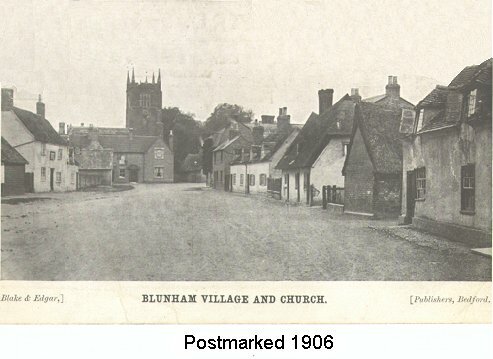 The Southern end of the High Street, now and old: View 1(1906), View 2 and View 3 (1922). 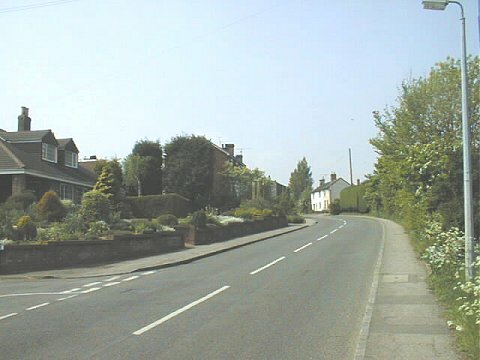 Half way up the Hill, now, and old: View1, View 2, and View 3 (later, with pavements). 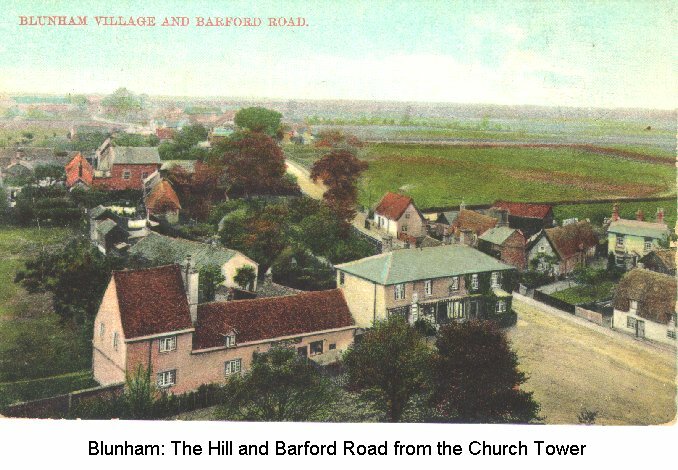 The Hill and Barford road and The High Street looking north, both circa 1900 (coloured postcards), a photograph from 1987 looking West, and a recent panoramic mosaic, all from the top of the Church tower. 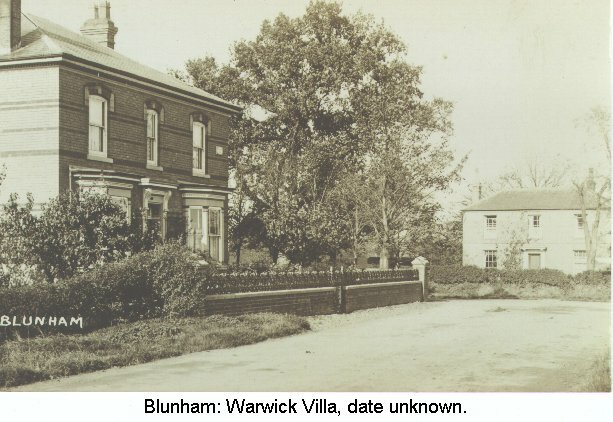 Warwick Villa (corner of Station Road and The Hill) and a modern view of the same house. 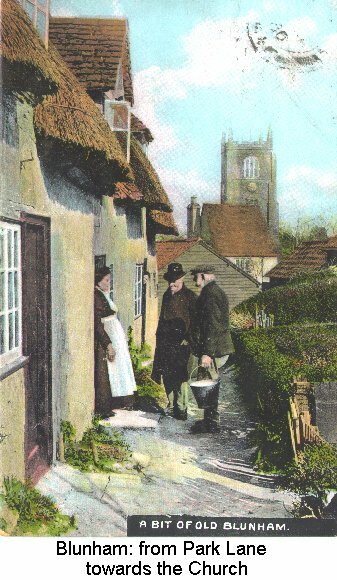 A coloured postcard looking from Park Lane towards the Church down "The Grove ", showing thatched cottages which no longer exist, and a black and white photograph from a similar time. 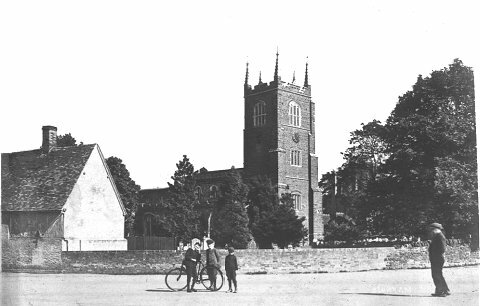 A view of the Church and the Old Rectory from the Ivel (date not known), a similar view from 1900 on a coloured postcard, and a modern view (by Tim Sharrock). 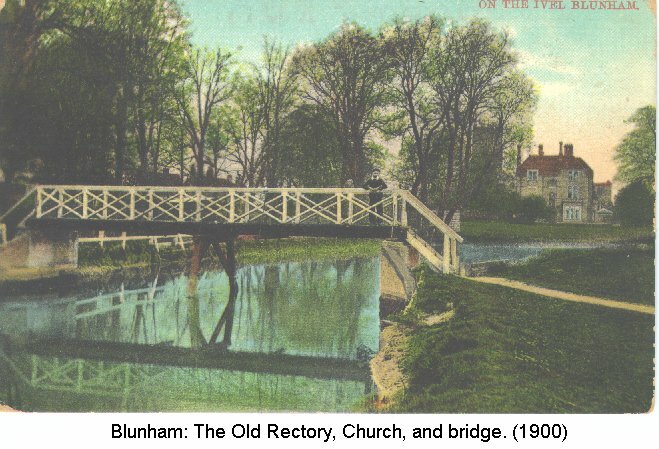 The double hump-backed bridges between the "A1" and Blunham. 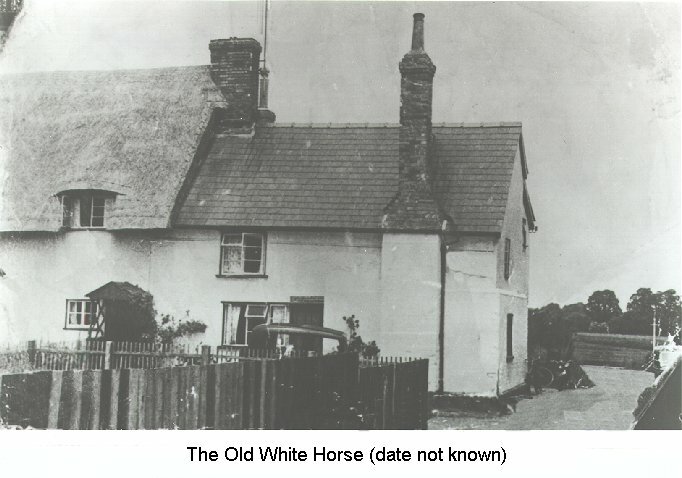 The north end of the High Street looking towards Grange Road, with a horse waiting patiently for its owner outside "The Oak" beerhouse. 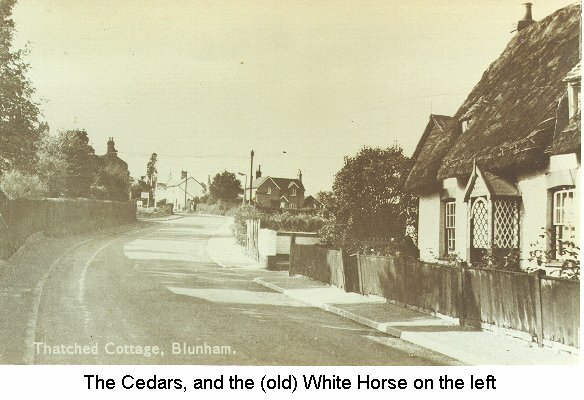 I'm told that when the horse got fed up of waiting, it used to go home by itself! 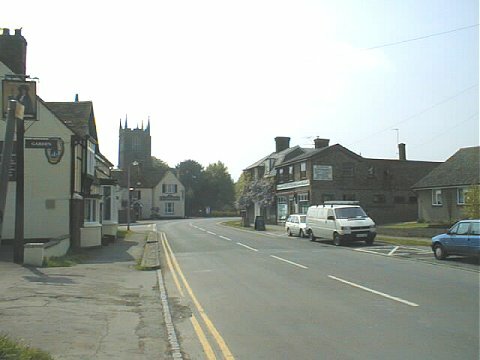 The north end of the High Street, view 2. 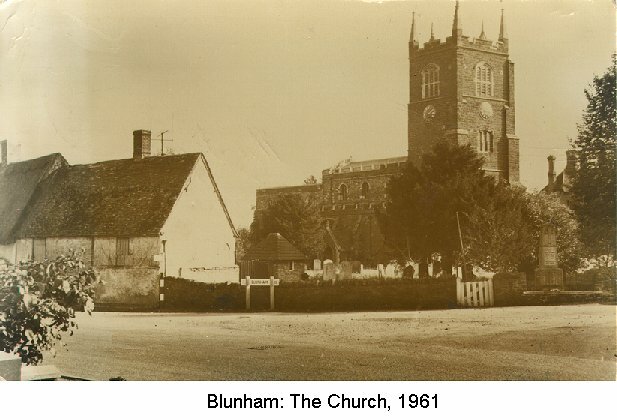 The north end of the High Street in the 1960s, taken shortly after the houses on the right were built. 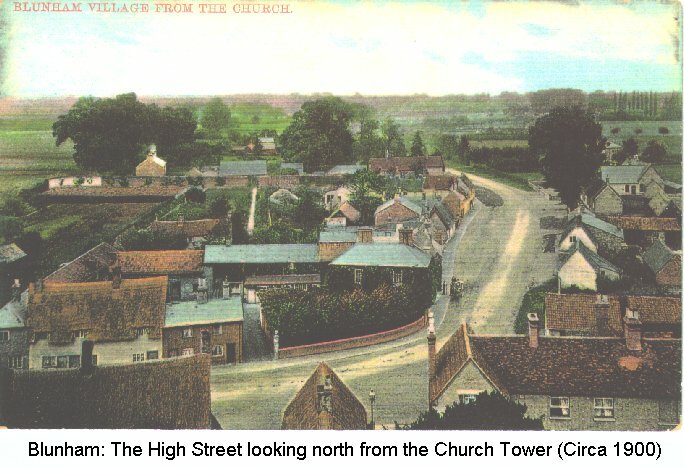 A view of the north and middle of the High Street looking south. 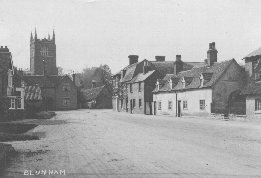 The southern end of the High street, showing the two pubs (The Salutation and the Horseshoes). 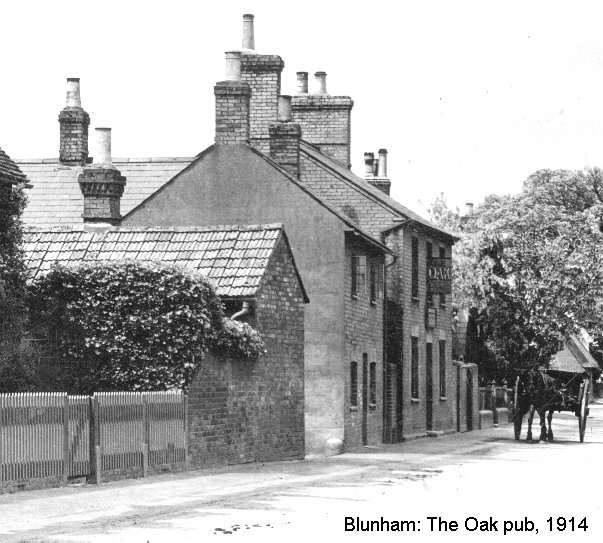 Blunham Square showing the old "Queen's Head" pub. 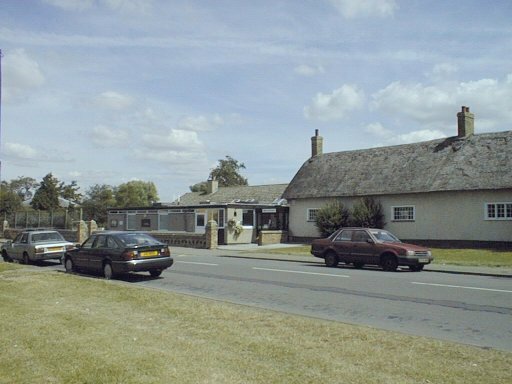 This is now a house and re-named "The Ragged Staff" - the old name for The Salutation pub. 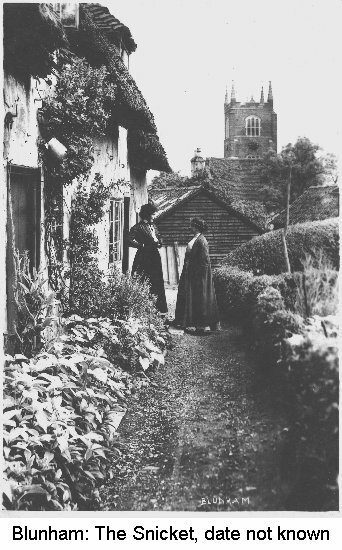 A similar photograph to that above, but showing Shoe Cottage as well. 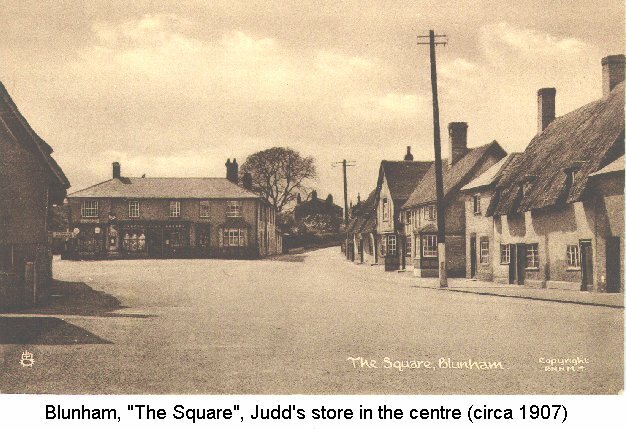 The Square showing Judds shop etc. 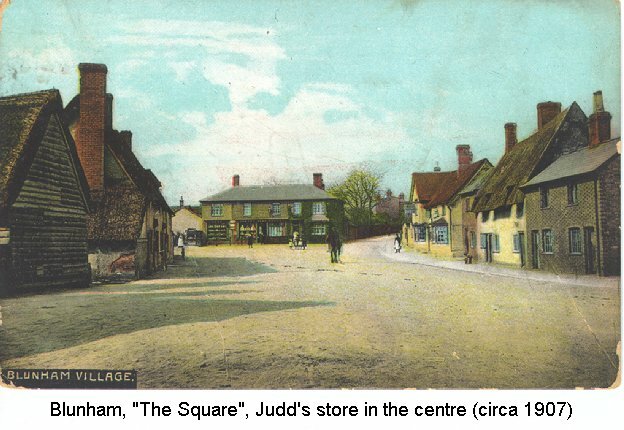 Looking out of The Square into the High Street with the end of the Queen's Head at the left. 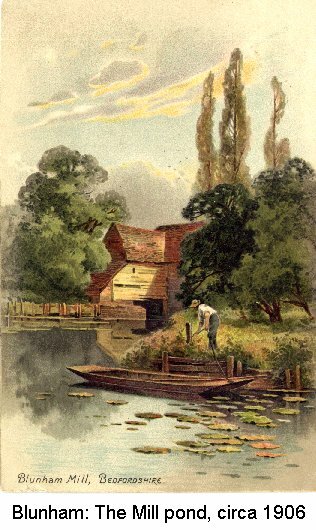 Shoe Cottage (next door to the old Queen's Head). 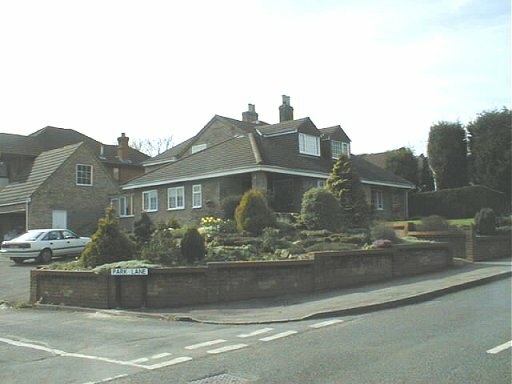 Ziggy's cottage, Brickhill Close, after the fire. 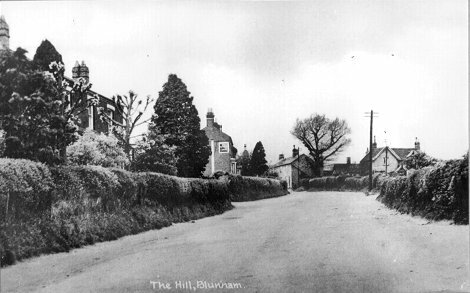 Looking into Brickhill Close (Ziggy's cottage at the right). 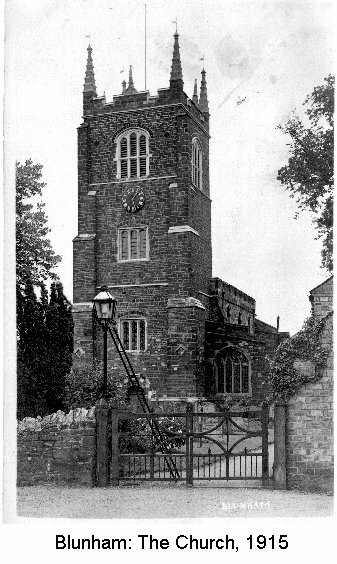 The old (fire) engine house on the triangle of grass on Park Lane. 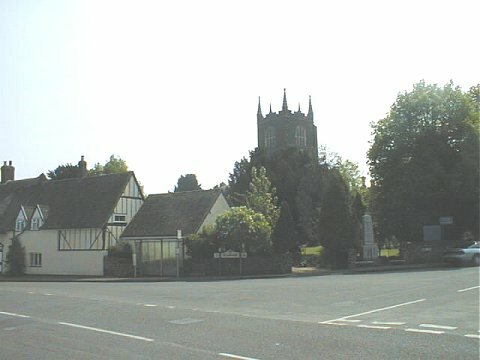 Looking up Park Lane from near the Church. 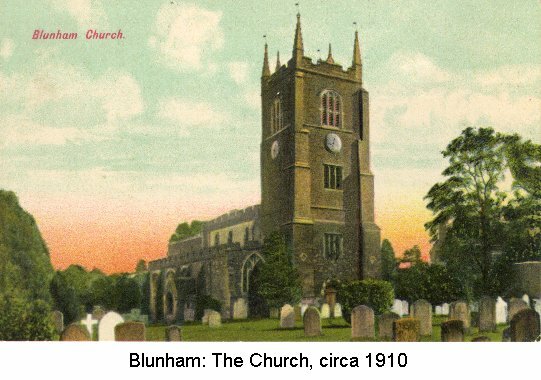 The Church of St. Edmund or St. James, Blunham. 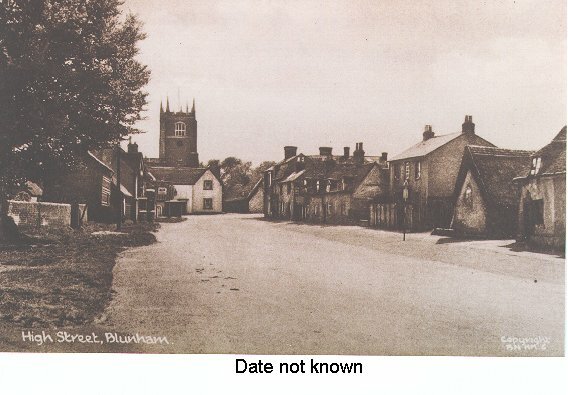 Looking into the Square from Park Lane. 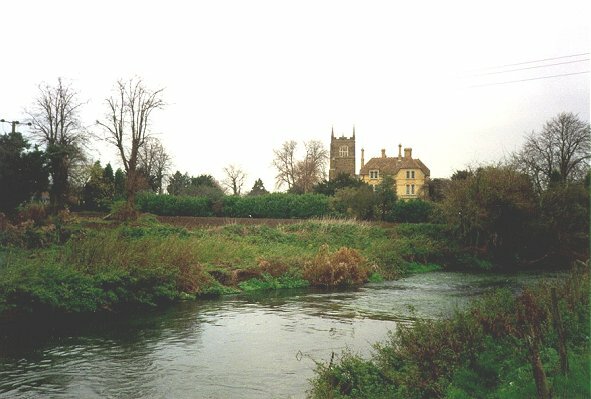 "The Grove ", now completely gone.